← Not Exactly Garlic Fries but still ……….who cares? 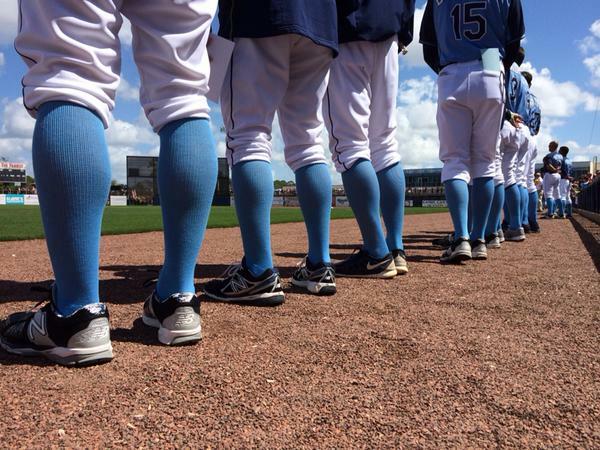 Tampa Bay Rays wear “Socks Up” to honor Grant Balfour’s father, David. 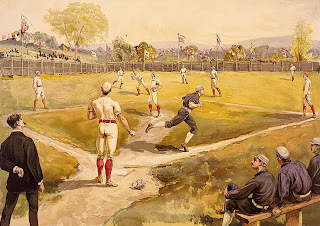 I review 50-100 baseball blogs and articles, photos, etc., on a weekly basis and this is the one that caught my attention this morning. 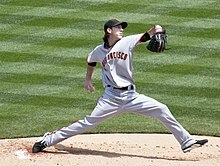 I’m not sure why I have an affinity for the ballplayers who choose to wear their socks up during the games. I even use it as a home page photo for this blog. Maybe it has to do with the old-timers, the guys who started it all. You know, tradition ….. the real thing. At least that’s how I see it in my mind. So the picture caught my attention and that lead to the article. It’s about Tampa Bay’s relief pitcher, Grant Balfour and his father, David who died last week from a long bout with pancreatic cancer. David was the original owner and General Manager of the Sydney Blue Sox of the Australian League. He retired in 2013 due to his illness. I don’t know if the Sydney Blues all wear their socks up or not. Maybe it’s an Australian thing. Not so much here in America. But in my mind, it’s just a real classy look. And it’s a real classy thing the Rays did for Grant Balfour on his return to the ballpark this week. It’s an inspiring story. 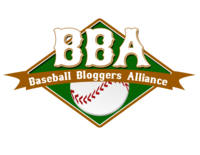 You can read it here at Big League Stew, by Mark Townsend. To Grant Balfour ~ welcome home to spring training. It’s obvious how much the Rays appreciate having you on board, and that’s always a good thing. This entry was posted in Tampa Bay Rays and tagged australian baseball, Big League Stew, blue socks up, david balfour, grant balfour, mark townsend, old times, pancreatic cancer, socks up, sydney blues, tampa bay rays, tradition. Bookmark the permalink.